H.I.I.T. (short for High Intensity Interval Training) is a training method in which you workout on a short and intensive level varied with short rest moments. H.I.T.T. increases your stamina and endurance, and complements the fat burning process. Every workout focuses on mental as well as physical aspect. Where one training emphasis strength and muscle endurance other will emphasize stamina, cardio and core stability. During the workouts body weight, dynabands, kettlebells, circuits are used. During some exercises a partner is used. The advantage of H.I.T.T is that you can participate on your own level. Also a sense of rhythm is not compulsory, all exercises are done on your own pace. In this lesson, the starting athlete is taken into account. When the step to a HIIT lesson is too big and challenging for you, this lesson is probably a good solution. In the HIIT lessons you will be challenged to the limit and looking for your own physical and mental boundaries, the HIIT light version will be much milder. In the HIIT light class the exercises will mainly be with your own body weight, both conditional and strength will be discussed. Extra attention will be paid to technique and execution of the exercises. H.I.I.T. Circuit stands for High Intensity Interval Circuit, where you will use your own bodyweight and attributes like barrs, medicine balls and kettlebells. In the circuit exercises from powersports, powerlifting and crossfit will be used. These exercises will alternate cardio exercises. 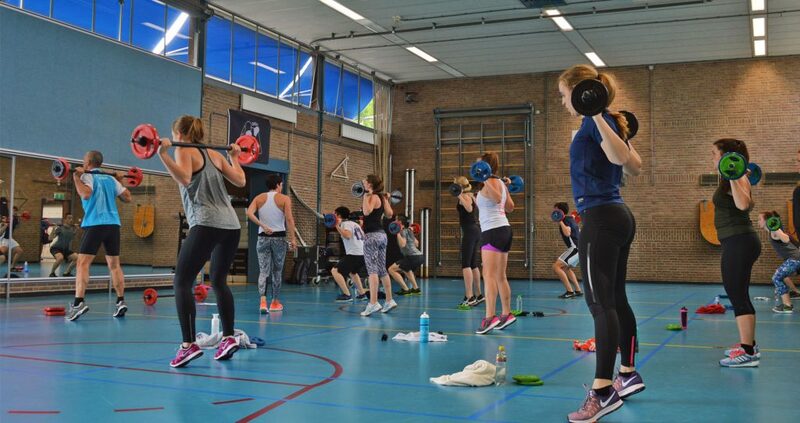 The main advantage of H.I.I.T circuit is the short and intensive training, which improves your condition. It also stimulates your metabolism and fat burning. On top of that, the circuit changes every month, stimulating your body every month to improve your cardio and strength. You can participate in your own pace and a sense of rhythm is not necessary. A towel is required for this hour!